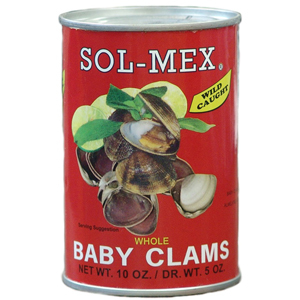 Whole delicious baby clams packed in water and salt. A favorite shellfish for the "seafood touch" in salads, soups, ceviches and many other tasty plates. Packed with great care in South East Asia. Sol-Mex guarantees its quality and freshness.